The deaths of Darth Vader and Emperor Palpatine, and victory at the Battle of Endor by no means spelled the end of the Empire. In the aftermath, the New Republic has faced a constant struggle to survive and grow. And now a new threat looms: a masterpiece of Alderaanian art, lost in transit after the planet's destruction, has resurfaced on the black market. Offered at auction, it will command a handsome price...but its greatest value lies in the vital secret it conceals. He is Boba Fett, the most feared and successful bounty hunter in the galaxy, and even the most hardened criminals tremble at his name. Now he faces the deadliest challenge of his infamous career: an all-out war against his most dangerous enemies. 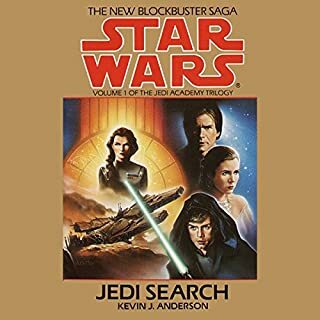 Somewhere in the galaxy, millions suddenly perish in a blinding instant of pain, anguish, and despair, a disruption of the Force so shocking, it is felt by Luke at his Jedi academy on Yavin 4 and by Leia at home on Coruscant. It is a deed that rivals the terrifying power of the Death Star, the long-destroyed weapon of the defeated Empire. The Empire stands at the brink of total collapse. But they have saved their most heinous plan for last. First a plot is hatched that could destroy the New Republic in a bloodbath of genocide and civil war. Then comes the shocking news that Grand Admiral Thrawn--the most cunning and ruthless warlord in history--has apparently returned from the dead to lead the Empire to a long-prophesied victory. Zahn is simply the best. It is a perilous time for the New Republic. Just when unity is needed most, mistrust is on the rise. Even the Jedi feel the strain, as rogue elements rebel against Luke's leadership. When alien invaders known as the Yunnan Vong strike without warning, the New Republic is thrown on the defensive. Merciless warriors, the Yunnan Vong glory in torture. Their technology is as strange as it is deadly. Most ominous of all, they are impervious to the Force. Princess Leia sees the mission as an opportunity to achieve a diplomatic victory for the Alliance. But it assumes even greater importance when a vision of Obi-Wan Kenobi appears to Luke Skywalker with the message that he must go to Bakura - or risk losing everything the Rebels have fought so desperately to achieve. ©1993 Lucasfilm Ltd. and TM. (P)1993 Lucasfilm Ltd. and TM. This book is not necessary to read in order to understand future books. Well written, lacks humor, descriptions of situations gives the listener a great visual. why make an audiobook if you're just going to cut out the story, its a great book but it's a shame it's missing. The story is severely compromised through abridgement. The narrator talks way too fast and seems disinterested in being there in the first place. Please stop abridging these books! 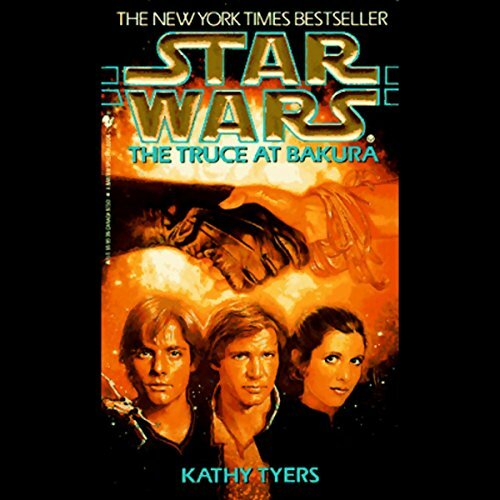 Where does Star Wars: The Truce at Bakura rank among all the audiobooks you’ve listened to so far? Hard to say, I've listened to a lot. 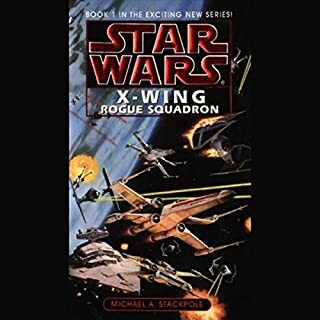 It's somewhere in the middle as far as Star Wars novels go; not bad, lots of good action and interesting plotline, but not as exciting as other EU stories like the Thrawn trilogy or the yuuzhan vong war. What didn’t you like about Anthony Heald’s performance? 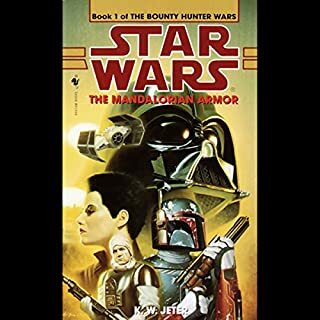 Part of my criticism might be overly harsh because Marc Thompson does such an amazing job in later EU books, but the only thing I didn't like about this book was the narration, it made it hard to listen to at times. The inflection in the narrators voice doesn't have enough range to clearly distinguish characters. The one thing I did not like at all, and honestly irritated me quite a bit, was the portrayal of Han Solo. The narrator gives him this nasally, almost 1920s gangster sound to his voice (Gimme all yer creds, see), which is just weird. 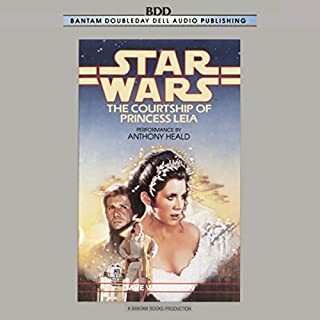 I'm actually curious as to why they would take a character portrayed by Harrison Ford, who has a deeper tone to his voice, and turn him into Lucky Luciano Solo, to the point where I'd like to ask the narrator. Also, there are times when it feels like he's speaking too quickly, to where it throws the cadence off every now and then, almost like someone who is trying to spit out the sentence they're on before they run out of breath. Read this in paperback years ago and was excited to revisit it with this audiobook. The abridged version gets the gist of the story, but three hours really doesn't do it justice. It was sad knowing how much was missing here. 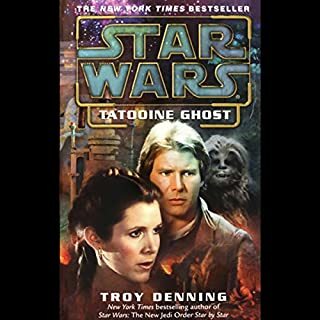 Although the reading did improve dramatically after the first 20 minutes (narrator forgot to stop to breath lol), he kept pronouncing words funny ("Han", "Palpatine", etc) and his characterization of voices felt way off. It's like he'd never even watched the movies himself. My suggestion? Skip this one and grab the paperback instead. 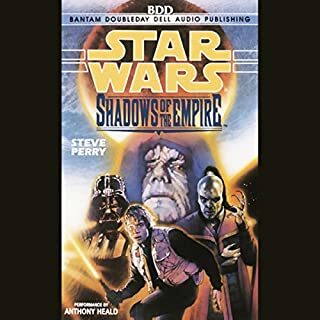 The narration/performance left something to be desired, especially considering that I had just before, listened to Revan and Deceived, from the Old Republic series, which were masterfully done. I just don't care for abridgment I guess. Still, it was a great story and I enjoyed it thoroughly, as I'm sure any true fan would. I read this book three times in high school and twice since I graduated. The book conveyed the horror that this alien species could possibly wipe out the galaxy and the only weapon that might have stopped them is gone. Yes that’s right, the full book. The whole book made these fly ties a lot more intimidating, and helped show that time is of the essence. Also the narrator seems to not care, and especially it seems he has never seen Star Wars since he mispronounces the emperors name every time he says it. After getting used to Marc Thompson, Johnathan Davis and January LaVoy, it’s very difficult to listen to Anthony Heald. It seems like he’s often rushing to get through the story, and his various voices are not that various. But it’s his rushed cadence that is hardest to endure. Given that it’s an abridged story, you don’t have to endure for very long, but the story is choppy as a result of the abridgment. Unfortunately, it appears that a ton of the early novels are abridged and narrated by Heald. Unfortunate. Most unfortunate. Empire still exists on some worlds. This is a great book. Just because Vader, and Sidious are dead,some planet governments refuse to believe it. As usual, luke finds himself in danger once again from different enemies this time. This book will keep you on the edge of your seat.